than all the threescore and ten years that follow it. The way you came into the world still matters today. As you sit and read these words you might question how an event that took place decades ago could be impacting how you show up in the world in each moment. If you are questioning this possibility, you are definitely not alone. Yet over the years you have probably felt the shadows of your childhood showing up at many pivotal points in your life. Those shadows may have shown in almost everything you do, leaving you with a sense that you are being haunted by the past. You may have heard an echo of your parent’s voice, for example, when a difficult issue arose in your life. 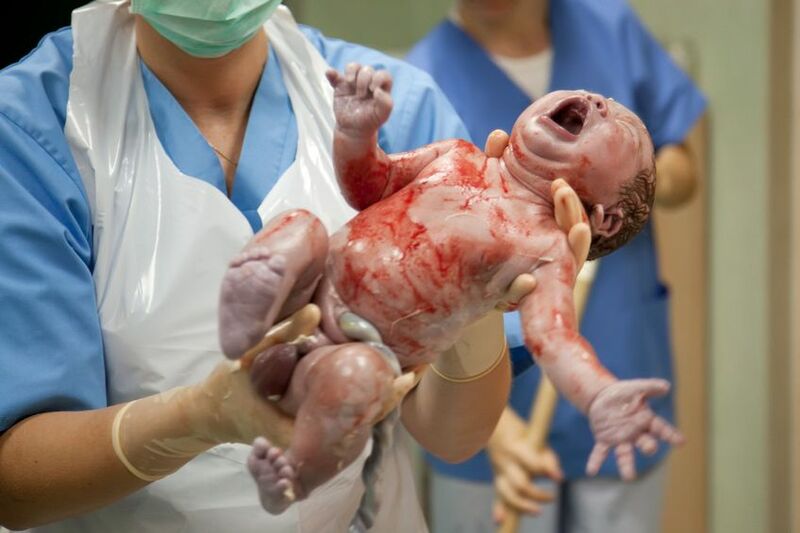 So it shouldn’t be too far of a stretch to imagine that the very moment you came into the world could have an on your life too. If we had a traumatic birth or our life was threatened with a complication, we may enter the world with a heightened sense of danger. In a situation such as this we would have shared our mother’s chemical response to our possible death, and enter the world with a series of chemicals in our blood stream that set the bar for any future events. Our brains would have learned that the world is a dangerous place and that we are under threat, and this same pattern may have been repeated every time we encounter even the slightest challenge, throwing us into survival. It’s easy to imagine how coming into the world with this kind of stress could set a biochemical pattern that could find itself repeated in our later life. It can take more of a stretch to understand is that the nine months prior to birth can have a tremendous impact on our world too. One of the challenges with this is that we have collectively bought into the belief that babies aren’t conscious beings. In my book, Heal Your Birth, Heal Your Life, I turn this assumption upside down. I share how babies are already conscious beings, both in the womb and when they are born too. Babies have what is known as an implicit memory. This kind of memory is not held within the conscious mind. It exists within the realm of the unconscious. It’s not that a baby actually recalls what occurred in the womb and at birth as a series of conscious events in the same way that you might recall, say, what you did over the last week. Instead, the events that take place while the baby is in the womb and being born create a body feeling. This body feeling becomes part of the way the baby experiences and perceives the world. If the feeling was predominantly one of love, connection, safety and so on, then accompanying chemical responses would include oxytocin, serotonin and similar feel good hormones. However, if there were repeated incidence of stress, the baby would receive these biochemical responses through the mother in the form of adrenalin and other stress hormones. This would set up many beliefs about safety that are still held later in life if they are not addressed and transformed. Similar chemical responses would be triggered when something in the outside world suggested a compromise in our safety, even if the message we were receiving was distorted or untrue. Stress in the womb can come in many forms and varying degrees. In the most extreme cases, in conception it can come from the sexual act being one that was forced upon the mother. But it can also come from events such as the baby being conceived on a casual one-night stand where there was little love or connection between the parents. Then there is the stress of the mother finding out that she is pregnant. It’s all very well if the child is wanted or has been longed for, but what about when the child is unexpected and the pregnancy is a shock? This can cause all kinds of beliefs around rejection as the mother and/or father come to terms with whether they want the baby or not. But it’s not just the conception or finding out that the mother is pregnant that can bring about challenges. There is also the matter of the traumas of life. If the parent’s relationship is unstable or aggressive, if there is a death or major trauma in the family while the baby is in-utero, if the mother is extremely ill during pregnancy, if the father’s life is threatened, if there are severe financial challenges and the parents don’t know if they can afford the baby, if the parents’ relationship ends during in pregnancy, or if there is any unforeseen traumatic event that threatens the mother’s sense of safety, this can be imprinted upon the foetus in the womb. One of the most profound turning points for my understanding of the consciousness of the baby and the affects of the outside world on the womb came when I watched a video by cell biologist Bruce Lipton. In his book The Biology of Belief, he shares the science behind how beliefs that are formed in the womb impact us in later life. In the video accompanying the book he shows two parents arguing. There is an image of the baby in the womb during a ultrasound scan. As soon as the parents begin arguing, the baby jumps inside the womb. Any doubt that I had about the consciousness of babies was eradicated when I saw that clip. In much of this blog we have focused on the challenges that our birth stories create for us in life. However, there is a solution. It’s one I’ve been working on for the best part of the last decade. What I’ve discovered is that it is possible to go back to our conception, to when we were in utero and to when we where born and rewrite the story of our birth. I’m not just talking about making up a different birth story. I’m talking about experiencing one on a cellular, biochemical, emotional, energetic and physical level. The technique that I created that allows this to happen is called Matrix Birth Reimprinting. It evolved out of the popular self-help technique Matrix Reimprinting (which was the subject of 2 best selling Hay House books, the first being printed in 10 languages). Matrix Birth Reimprinting allows us to go back to those key moments where we experienced a trauma and rewrite them. The impact on our physical and emotional health is deeply profound as a result. Rewriting our birth stories is the most precious gift we can give ourselves. You can reimprint how you felt during those first nine months (and beyond) and change the way you show up in the world accordingly. Doing so can impact your health, your self-esteem and your well being on a multitude of levels. For more information about how you can rewrite your birth story go to www.MagicalNewBeginnings.com or contact Sharon directly to experience a Matrix Birth Reimprinting session.